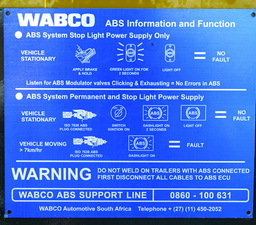 When our driver correspondent reported to his workshops that the ABS system on his trailer was not working, he was told: â€œWhy do you need an ABS system? Itâ€™s just a money making thing.â€ Hereâ€™s why Mr Workshop Manager: All trailers manufactured from 2004 have to be fitted with an ABS system - and it has to be functioning at all times. Thatâ€™s the law! In this article, I want to focus on the roadworthiness of trucks and give a real life example of how flawed the whole system is. Last week I took my trailers for roadworthy and got my new license disks without taking my truck to the testing station. Yes, you read that right. 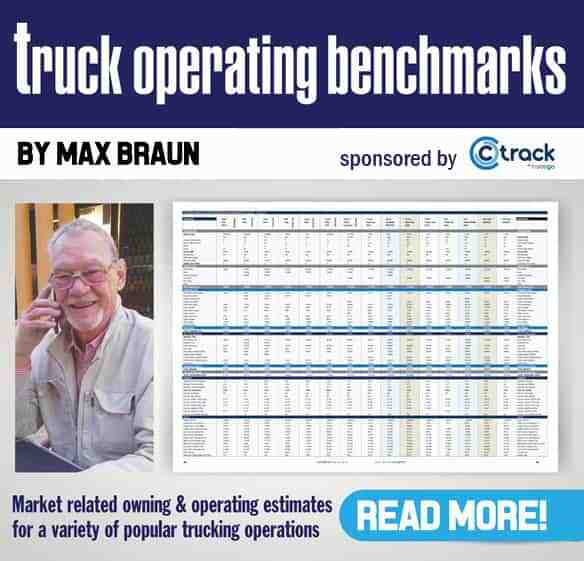 No tests were done on the trailers to gauge their state of roadworthiness. If my company can do this, how many other companies out there are buying their trucks through the tests and how many trucks on our roads are really roadworthy? Our driver correspondent reported to his workshops that the load sensing valves on his trailer were not working. The workshop manager told him there was no one who could fix it. So drive! Let’s leave that one and move onto the next problem on my trailers. The load sensing valves are not working and this has a major effect on the stopping power on a truck that weighs 56 tons. The workshop manager reckons we don’t have someone who can fix the load sensing valves. This is the type of thing drivers have to deal with – and the type of people we have to work with. 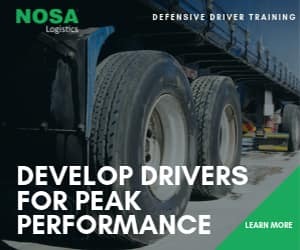 Many of us try do a professional job as drivers but behind us, we have people who are not qualified to maintain our trucks and bosses who don’t want to spend money on getting qualified mechanics. And if a driver gets involved in an accident, then it’s the driver’s fault. This is the easy way out for the bosses. This is happening at my company and I am not going to be hanging around anymore. I will soon be working at another company which pays its drivers well and maintains its trucks in the right way with qualified staff in their workshop. I want to mention that there are companies out there who do things right and are doing everything the proper way. To those companies, we drivers would like to say thank you and we give you a big thumbs for keeping your trucks roadworthy as they operate on our roads. Keep South Africa’s roads safe and there will be less dirt on your hands. To those companies out there who always take shortcuts through the transport industry and always have some plan to keep your trucks on the road by buying your roadworthy certificates and bribing everyone, just remember there are 1000’s of trucks on our roads and 37 people die on our roads everyday. One day when a truck bliksems over your wife’s car, please don’t jump up and sue the driver or the company because you are doing the same thing.